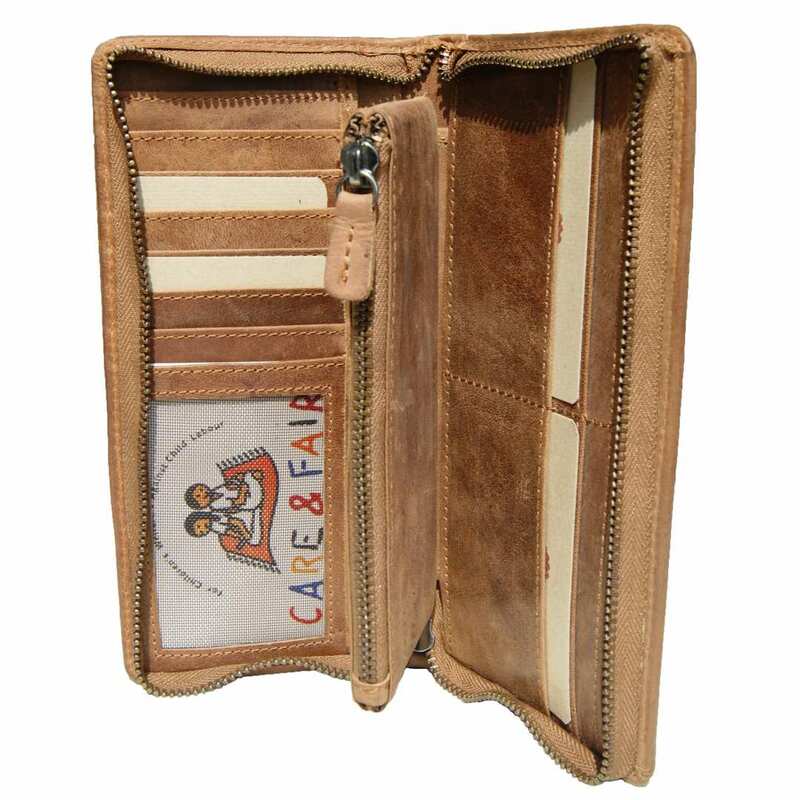 Product information "Long wallet for ladies BEISHEIM of brown leather"
The vertical wallet for ladies BEISHEIM made of light brown leather is an elegant and long lasting money purse with lots of space for cards and cash. There is no other material that shows so much character as leather does. It matches especially well with this magnificent money purse for women. From the beginning, it provides a fantastic appearance that will get even more personal over time thanks to the intended emerging of new color abrasions. 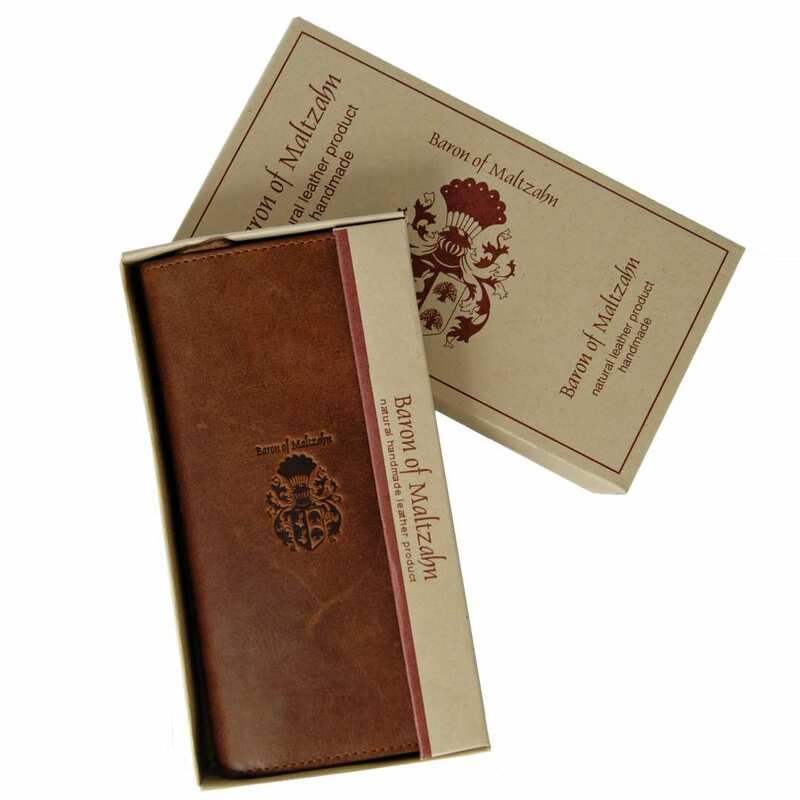 The inside of the ladies long wallet BEISHEIM of leather offers you lots of space in order to keep your items well arranged. 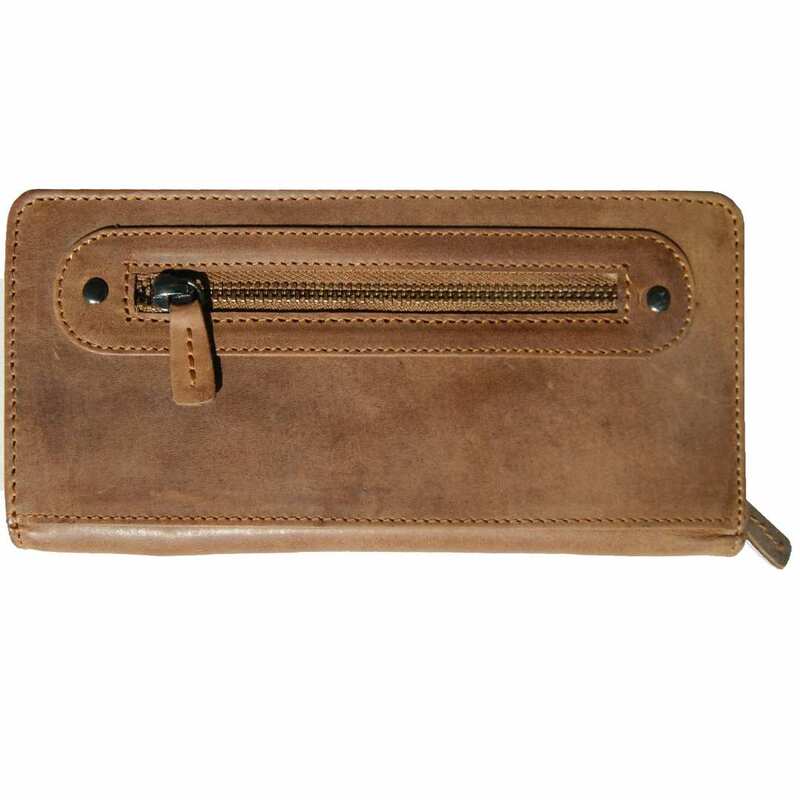 The narrow design eases the carrying and permits to store the wallet into a handbag or purse. 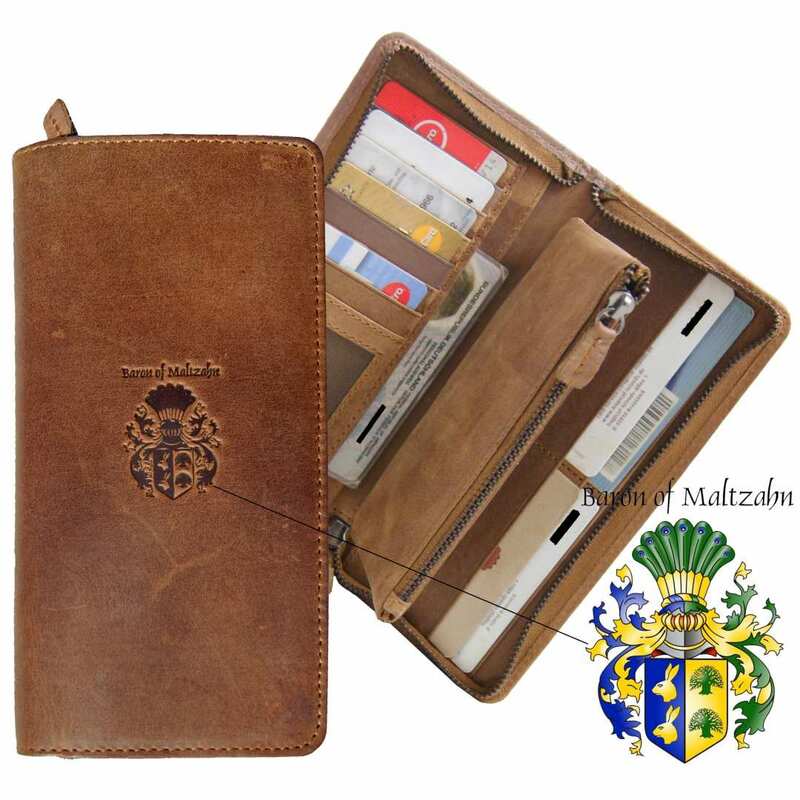 If you decide to purchase the ladies wallet BEISHEIM made of leather, you will receive it in a fantastic gift box with a printed crest of the designer BARON of MALTZAHN. Whether you want to give it to the woman of your life, to your mother or to a friend, it is enough to decorate the box with a nice ribbon. You can be sure that this special person will be utterly surprised by the excellent inner arrangement and the timeless style of the wallet BEISHEIM. Enjoy the storage space: 19 compartments for cards and more! 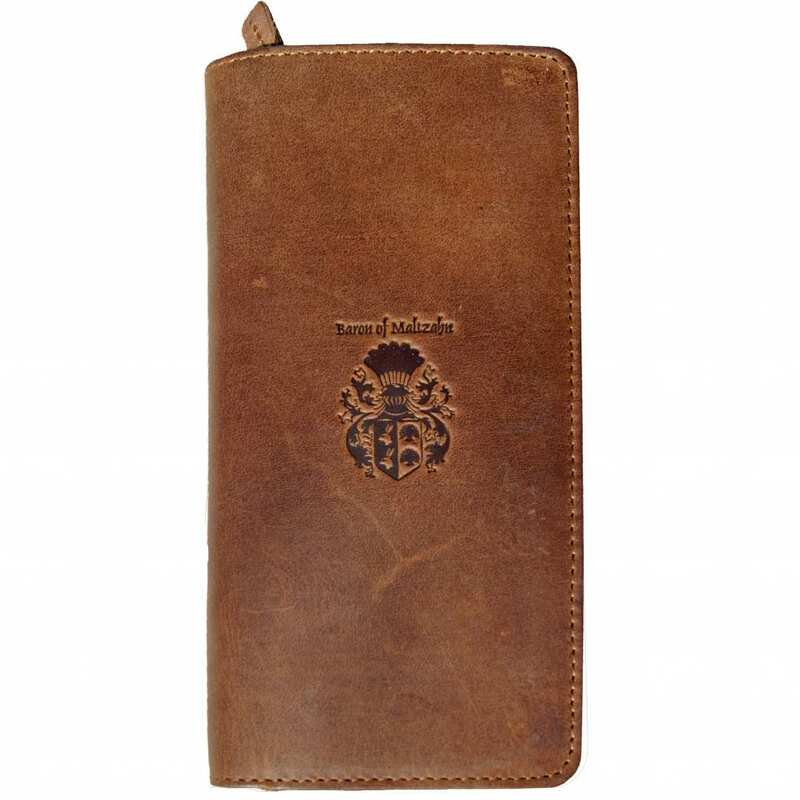 The long wallet BEISHEIM made of leather consists of fourteen holders for your credit, member, and insurance cards, as well as other pockets for bills and coins. You will also find three additional sections and a zippered compartment on the inside and another extra zipper pocket on the back of the purse. The wallet has a total size of 7.5 x 3.5 x 1 in (19x9x2.5 cm). This women’s wallet BEISHEIM is only produced in small series and therefore, every piece is unique. To produce this fine article we have only used 100% naturally treated bovine leather in two different shades of brown, which have been processed by hand. The seams match the color of the leather and it is finished off by an elegant inner lining and some gun metal fittings. Order now and do not miss this exclusive opportunity! Reviews for "Long wallet for ladies BEISHEIM of brown leather"